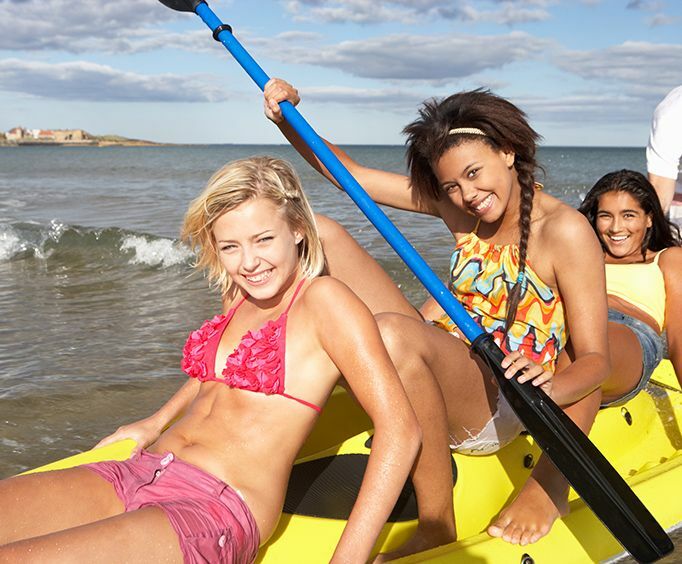 The canoe rental for the Dayton Beach area makes you travels much more fun, and you have a great time when you are planning to see as much of the coast as you can. Canoes are very safe, and they provide you with an easy way to get around the area. You simply need to come to the rental company when it is time, or you can rent the canoes in advance. The canoe rental in Daytona Beach is handled by the people at the docks, and they provide you with the safety gear including your lifejacket. The staff teach you how to use the canoes, and you can take out the canoe with your family for a couple hours if you want. The canoe rental is a great time for you to hang out with family and see Dayton from afar. You can go over some calmer water, and this area of the Dayton Beach region is quiet enough for you to relax on the boats for hours. The rental should become a big part of your plan, and it can scheduled any time before you start the trip. You can learn about where to go from he people at the docks, and you might want to bring a map. The canoe rental around Dayton Beach changes your perspective on this area because you can see the locations you have been in a new light. You can plan to be on the water for an hour, or you could be on the water for hours at a time. You spend a little, and you get a lot of great views. Choose the best time to go out on the water. Then, go to the dock of the Hidden Treasure Tiki Bar & Grill, located at 5993 South Ridgewood Avenue. Meet your guide who will give you the canoe, explain how to be safe while in Rose Bay, and tell you where to go for the best experience. Smoothly paddle out into the gorgeous water to begin your canoe rental. While on your canoe, explore the backwaters of Rose Bay. Take in the fantastic views of the shoreline from your canoe and enjoy a relaxing time fishing or going on your own eco-tour. Catch a glimpse of the abundant sea life in the area, including birds, friendly dolphins, and gentle manatees. Have an incredible experience in Rose Bay on this canoe rental.